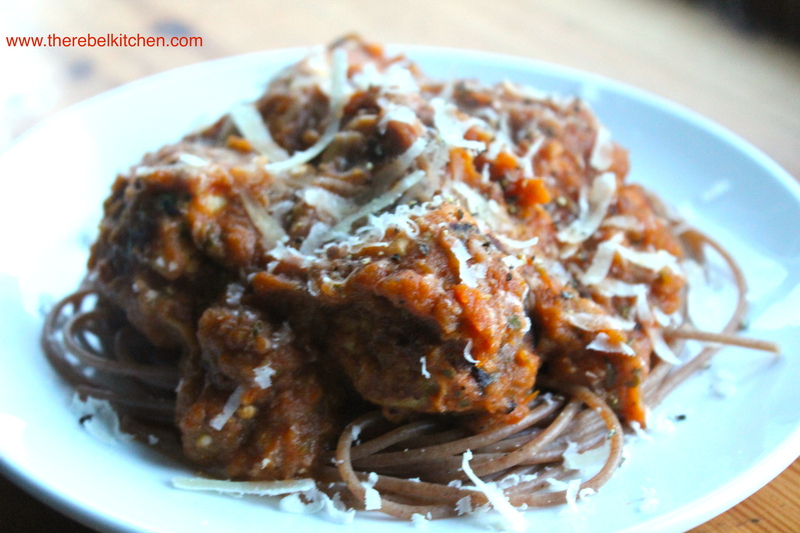 Delicious Italian Turkey Meatballs With Roasted Tomato Sauce… Wowza! Something I’ve wanted to make for ages has been turkey meatballs. Apart from roast turkey at Christmas dinner, it’s not something we ever really cooked at home. However, being on a huge health kick this January (such a cliche, I know), I decided to give them a go. Turkey is obviously a great source of protein, but it’s also an extremely lean meat so it’s often suggested to people who are trying to eat healthily. 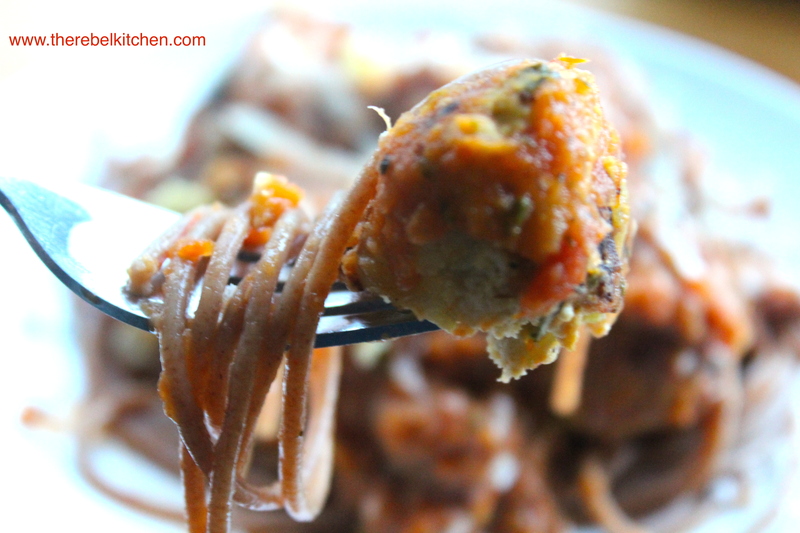 These meatballs are jam packed with veggies for an extra nutritional hit and flavour, and I used almond flour instead of breadcrumbs for a change. They taste absolutely gorgeous and this recipe makes about 30-40 small meatballs, so I tend to make a big batch and freeze smaller portions of them to defrost throughout the week for a quick and easy meal. These taste completely decadent and are so comforting despite being really healthy. So if you’re getting sick of eating chicken salads as you try and get healthy, these are just the thing for you. 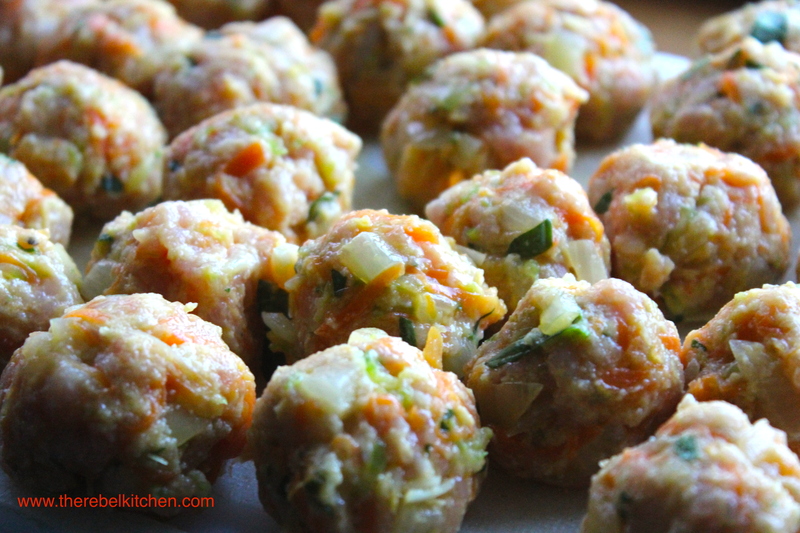 For the meatballs- grate the carrots and celery and very finely dice the onion. Finely slice the basil as fine as you can get it. Set it all aside in a bowl and add the mince. You may not need both eggs to bind the mix (depends on their size) so add one first and if it doesn’t hold together add the second egg. Add in the flour to help further bind the mix (again, if the mix is too wet, you can add more ground almond). 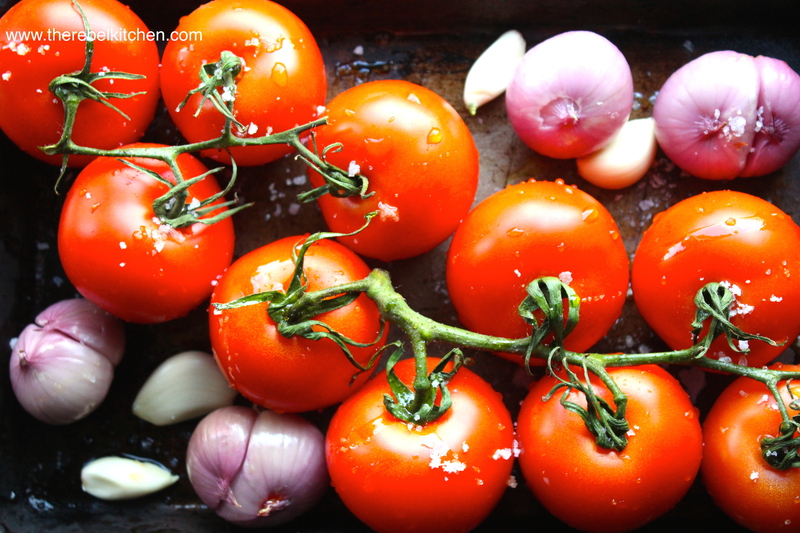 On a baking sheet lay out the washed tomatoes and the peeled onion and garlic cloves (just remove their outer skin). Drizzle with olive oil and sprinkle with sea salt. 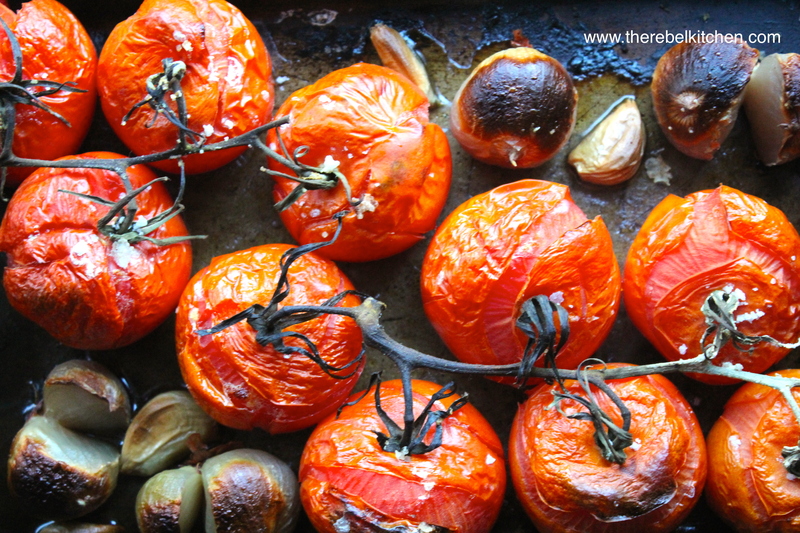 Throw into an oven preheated to 180C for 20-30 minutes. Using your hand, roll your meatballs together into whatever size you please. I kept mine a bit smaller than a golf ball. 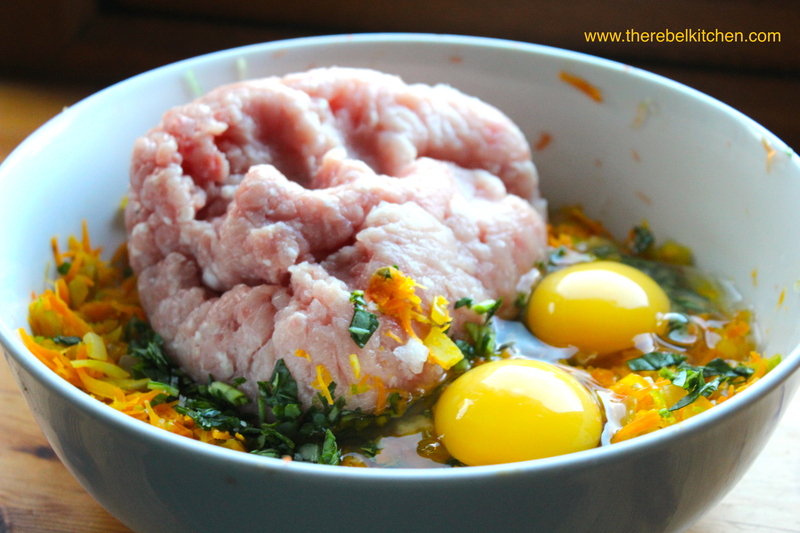 This will make 30-40 meatballs so you can freeze the ones you won’t be cooking straight away. Fry the meatballs in some olive oil on a medium high heat until they’re golden all over. If they’re sticking to the pan you could add some stock instead of oil as they continue to cook. They’ll take about 10-15 minutes, depending on size. Add your spaghetti to a boiling pot of water when the meatballs are looking close to being ready. When the vegetables are ready (the tomatoes will start to split and the shallots and onions will be soft), pop them all into a large bowl and blend with the other bunch of basil. Season with salt and pepper to taste. It’s that easy! 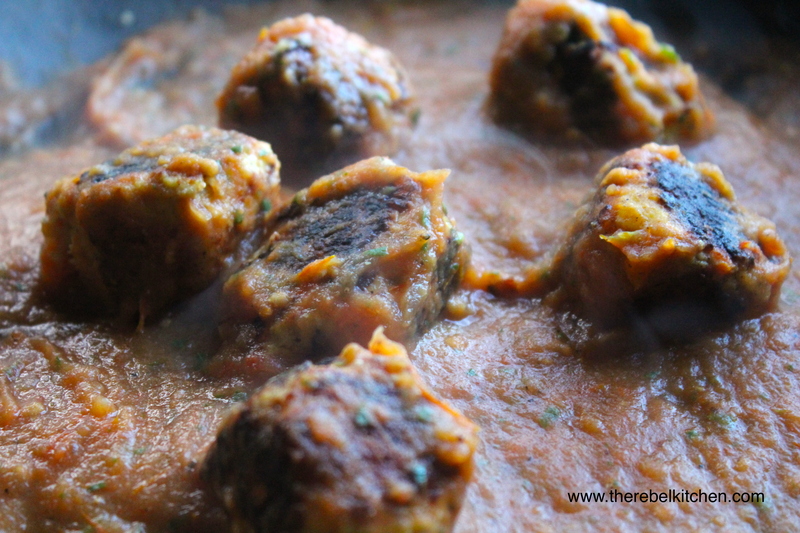 Add some of the sauce to the pan and let the cooked meatballs stew away in the sauce until the pasta is ready. 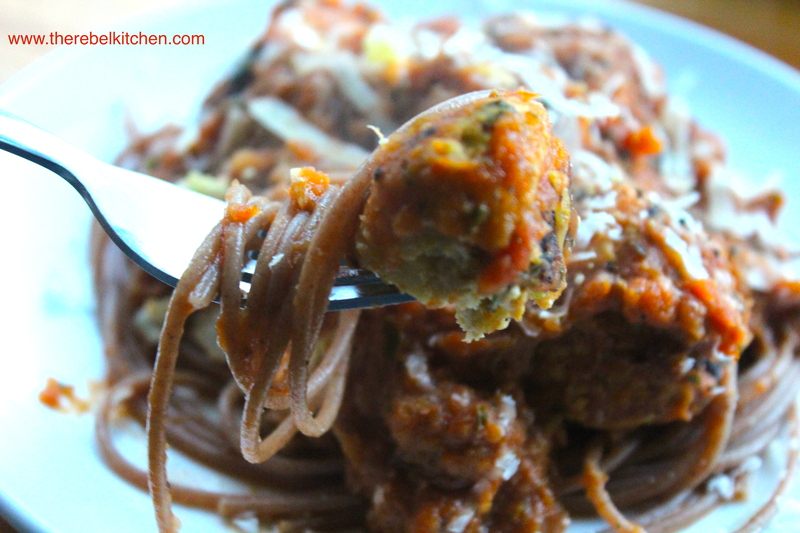 Drain the pasta when cooked and serve on a plate with a heap of meatballs and grate some parmesan cheese on top! 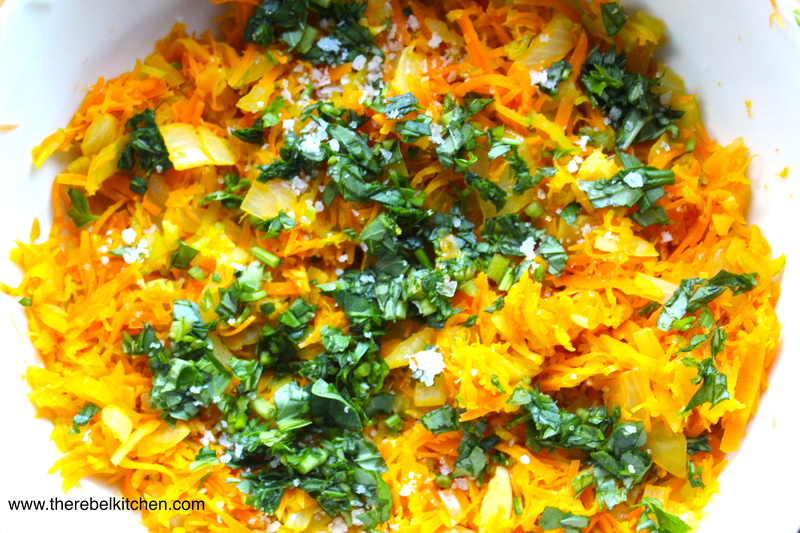 How Beautiful Are These Simple Veggies? 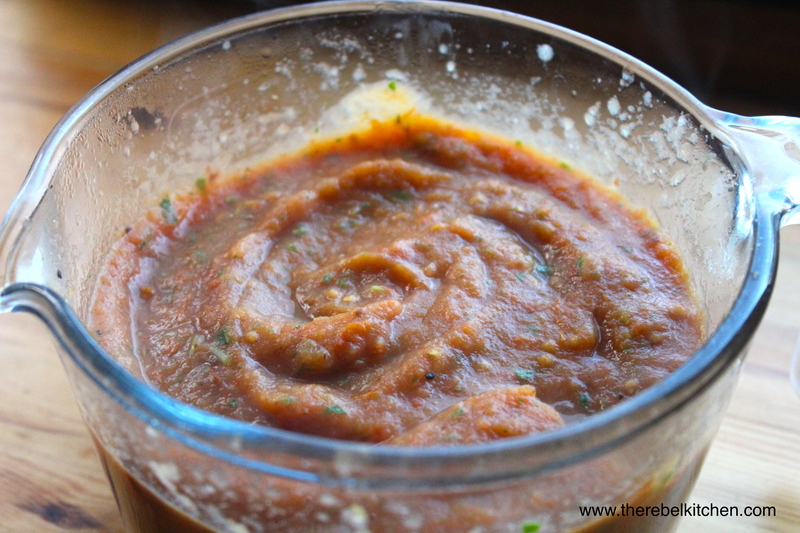 This Is No Joke The Nicest And Easiest Tomato Sauce Ever!